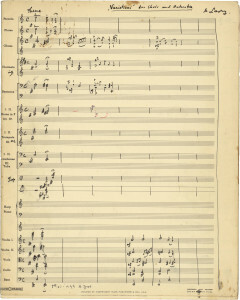 Marc Lavry composed Variations for Choir and Orchestra for his choir, the Kol Zion Lagola Choir (The Broadcasting Service Choir.) 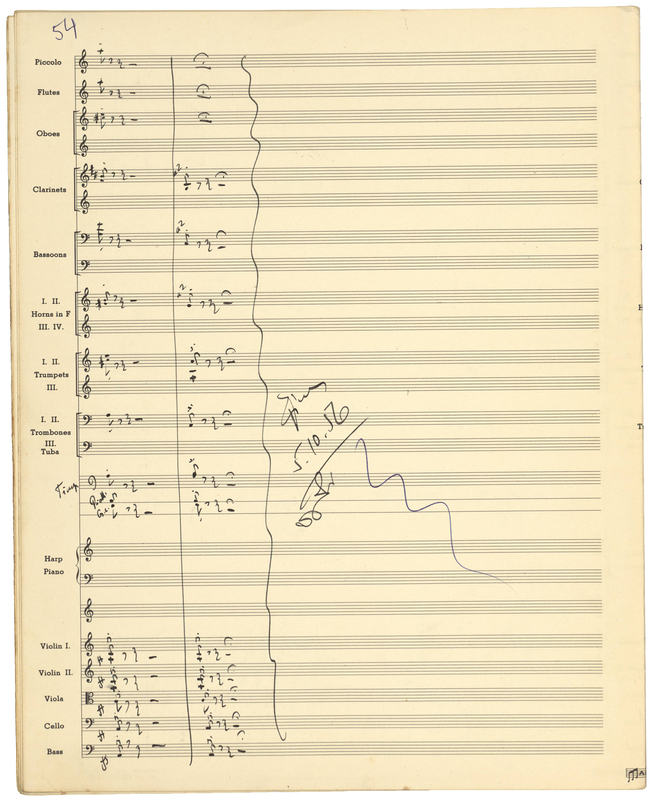 It is one of the compositions that Lavry forgot to add to his opus book and it was therefore never assigned an opus number. 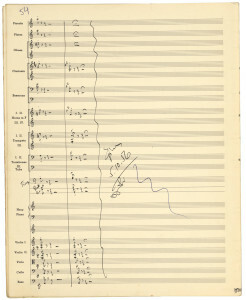 However, he signed and dated the the last page of the score as October 5, 1956. The composition consists of eighteen short movements: Theme, 16 variations, and Finale. The entire choir sings in both the Theme and Finale. Variations I to VI present each voice, and the rest of the variations consist of different voice combinations. 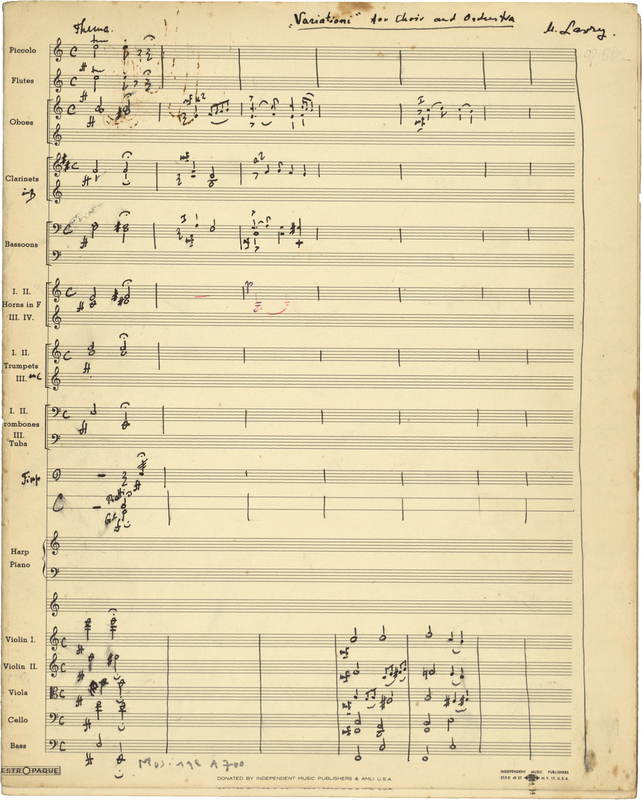 Like most of Lavry’s compositions, the Variations for Choir and Orchestra was performed and even recorded. The recording of this composition was unfortunately lost.